Saint Francis House is a nonprofit, nonsectarian, daytime shelter, primarily for the homeless, located in downtown Boston, Massachusetts, and founded in the early 1980s. It is the largest daytime shelter in New England and serves as an early model of such a center. It serves free breakfast and lunch in its dining room to over 600 guests each day. — St. Francis House Mission Statement, as recapitulated in 1998. It serves and helps poor and homeless people in the spirit of St. Francis of Assisi who was dedicated to helping the neglected. Saint Francis House was formally founded by the Justice and Peace Committee from the Saint Anthony Shrine on Arch Street in downtown Boston in 1984, but its origins date back to 1981, when the Franciscans at Saint Anthony's had opened a soup kitchen and some accommodation for the homeless. As the need for services increased, Boston community and religious leaders called out for the establishment of a center where existing and additional services could be offered to the poor, the homeless, and the otherwise disenfranchised. It was the visionary, Father Louis Canino, O.F.M., a Franciscan friar and then Rector of the Saint Anthony Shrine, who was the driving force in its founding and the necessary purchase of a building on Boylston Street, the historic Boston Edison Electric Illuminating Company building, in what was then called the Combat Zone. Father Louis Canino later became the founder and director of the St. Francis Springs Prayer Center at The Franciscan Center in Greensboro, North Carolina. Ira Greiff, a veteran social worker and former Clinical Instructor in Psychiatry at New York University School of Medicine, was also instrumental in setting up Saint Francis House with Father Canino, using the model of a settlement house (additionally combining community center or clubhouse models) for the day center shelter. He also shared a vision for "rehabilitative services and a permanent multiservice center for the homeless and that homeless shelters and programs should and could collaborate, and participate in joint public policy and budget advocacy". Its early historical responses to help the homeless focused primarily on emergency services such as food, clothing, shelter, and medical care. However, the problem of homelessness, in general, turned out to be more complex and could not be solved by emergency measures only, so its scope and services broadened. Over the years of its operation, St. Francis House has dealt with barriers that impede people in overcoming poverty and homelessness, by offering an upward framework of opportunity. This includes teaching the skills needed to obtain jobs, housing, further education or, at the very least, how to have lives independent of shelters and institutions. 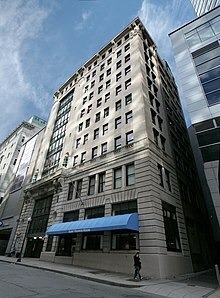 In 2001, Millennium Partners and Ritz-Carlton who built the Ritz-Carlton Hotel & Towers just around the corner from Saint Francis House, funded the construction of a large atrium in Saint Francis House so that the homeless would not have to stand in lines in the street waiting to get in. Saint Francis House had originally approached the developers to build the atrium out of an unused outdoor parking lot, so that homeless guests would not have to wait on the street in long lines. In May 2009, a guest was stabbed critically by another guest. The Executive Director of Saint Francis House, Karen LaFrazia, said that this was a very rare occurrence and that in her tenure of more than a decade, she had never seen anything like this and that the environment is safe and a haven for many hundreds of people every day. The people involved in the incident were not regular guests of Saint Francis House. In October 2009, Fr. Louis Canino, the founder of Saint Francis House in 1984, visited on its 25th anniversary reflecting on how much had changed in those 25 years. St. Francis House is open seven days a week, 365 days a year and it provides its guests with the basic necessities of food, clothing, shelter, showers, telephones, mail, medical care, and emergency assistance. There are also rehabilitative programs (employment, housing, mental health, substance abuse counseling and lifeskills training) to help those who are able to move themselves out of poverty and homelessness, to achieve lives of independence, self-respect, and hope. There is also some transitional and permanent housing in the building for the formerly homeless, living in recovery, and employed. It also has a very active expressive art room, the Margaret Stewart Lindsay Art Center, where poor and homeless artists create and are given a chance to express themselves, and many of the works are displayed and sold. Saori style Japanese weaving is especially therapeutic and useful for many of the artists. Every year, guest artwork is featured in the Art from the Heart Calendar. In 2004, the Carolyn Connors Women’s Center was opened, recognizing the special vulnerability of the smaller population of women who are homeless. Being a daytime shelter model, it is a critical part of caring for the poor and homeless, since most nighttime shelters for sleeping typically put their guests out during the day, early in the morning after wake-up call. Rather than being left to the streets, which can be harsh, the day center provides a place to go and be cared for and also be part of a community, typically much more wide-ranging in services and scope than the nighttime emergency shelter scheme. The in-house medical clinic is run by Boston Health Care for the Homeless Program and also includes a walk-in foot care service. In 1995, the Moving Ahead Program (MAP) was founded as a 14-week course in life recovery, job assessment, skills, and placement. Participants work in internships in companies and many graduates go on to fully regain their lives, housing, and careers. Typically, more than 700 meals are served each day for breakfast and lunch, and more than 5,000 hours of volunteer help are received each year. ^ Originally, it was incorporated with the Commonwealth of Massachusetts in December 1983 as The Boylston Center, Inc. by the friars at St. Anthony Shrine. However, in 1984, it filed for a name change to Saint Francis House. Cf. records of the Secretary of the Commonwealth of Massachusetts. ^ O'Connell, James J.; Lebow, Joan (23 March 1992). "AIDS and the Homeless of Boston". New England Journal of Public Policy: 11. Retrieved 16 March 2015. Portable dental equipment allows the BHCHP dentist and dental assistant to provide comprehensive services several days each week at St. Francis House, a soup kitchen located in the heart of Boston's Combat Zone. ^ ""Friar Stories: Journeys to Franciscan Life: Fr. Louis Canino, OFM"" Archived 2010-12-18 at the Wayback Machine, Friar Stories, Holy Name Province, Franciscan Friars. ^ Cf. Thomas Keane, Jr., "Greiff's activism isn't just a good act", 2003 article. ^ Bombardieri, Marcella, "Ritz-Carlton Hotel & Towers Lifts Downtrodden Area of Boston", The Boston Globe, January 26, 2003. Knight Ridder/Tribune Business News. ^ The Atrium, Marcella Bombardieri, The Boston Globe, May 09, 2001. ^ The Spirit of Saint Francis, Fall 2009 newsletter. ^ Ross, Pippin, "MAP shows the way: At Boston’s St. Francis House, the focus is on jobs, not group therapy", Commonwealth Magazine, Boston, Winter 2011 issue, January 18, 2011. ^ these statistics are provided by St. Francis House, in their reports, and on their webpage. Barry, Ellen, "A Refugee's Triumph Over Desolation", Boston Globe, December 28, 2003. - comments by Tim Bulla, social worker at Saint Francis House. Rocco, Diana, "Volunteers help homeless", Fox 25 TV news, Boston, Friday, 25 December 2009. Ross, Pippin, "A MAP For Getting Well", Spirit of Change newspaper, Summer 2010 issue. Saint Francis House, "The Spirit of Saint Francis", Fall 2009 issue, 25th anniversary commemoration issue of its founding. WFXT, Fox 25 News, Boston, "Cardinal Celebrates Christmas : Cardinal Sean O'Malley spent part of his day with those in need", Monday, 25 Dec 2006, 5:32 PM EST. TV video piece on Saint Francis House Christmas dinner, 2006.